The idea for a large exposition to commemorate the 500th anniversary of Vasco da Gama’s 1498 voyage to India began to take shape in August 1989. 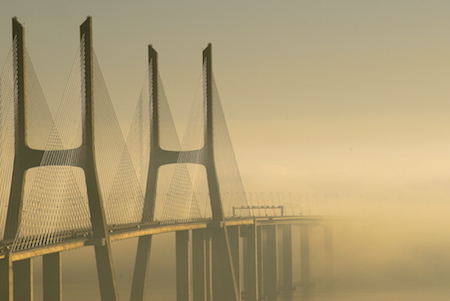 A national committee proposed Oriente, Alcântara-Belém or the opposite bank of the Tejo River as a suitable location for a large-scale development. That same year, Portugal sent an official proposal to the Bureau International des Expositions in Paris. 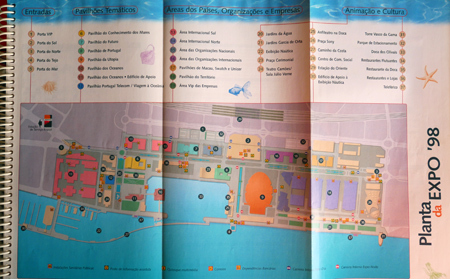 A lengthy process of approval ended in 1992 with “The Oceans, a Heritage for the Future” selected as the theme for Expo ’98 & a 5-km section of riverfront property in Oriente prepared for an extensive makeover. No doubt Lisbon officials saw the benefit an exposition could bring to their city as Sevilla went into overdrive for Expo ’92. 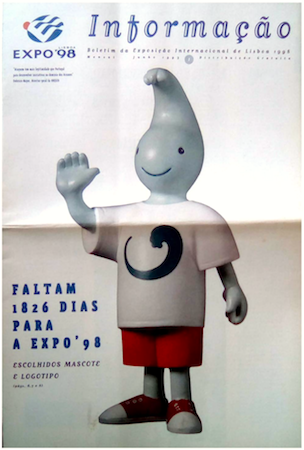 By 1993, the logo & mascot of Expo ’98 (a surfer dude named Gil after explorer Gil Eanes) had been selected & construction began. As the June 1993 publication below states on the cover: only 1,826 days left! As a brilliant article in O Corvo states, Expo ’98 planners had hoped that their riverside development project would spread to the rest of the city & revitalize important ties between the city & the Tejo. Slowly but surely their wish seems to be coming true. Just look at the Champalimaud Foundation, the MAAT, Cais do Sodré & the slow rebirth of Marvila, all of which bring people down to the river. Some original structures from Expo ’98 remain: the Pavilhão Atlântico is now the Altice Arena, the Pavilhão dos Oceanos continues to wow as the Oceanário (the largest aquarium in Europe), a cable car with views of the Tejo, water-spewing volcanos, & the Pavilhão do Futuro became a large casino. Around 20,000 people now live in the area, & some residents complain about the lack of maintenance for green space or the lack of illumination at night. Another criticism is that the Portugal pavilion by star architect Álvaro Siza Vieira is being underused. What’s for sure is that the Estação do Oriente needs some general upkeep. 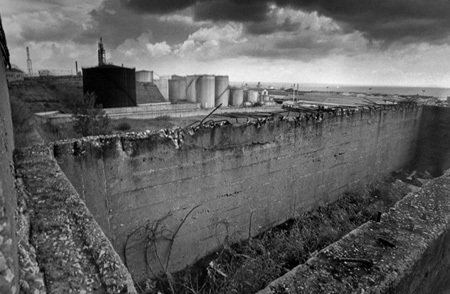 Looking back, Expo ’98 seems to be one of a series of attempts by Portugal to recover its world status since leaving dictatorship behind in 1974. 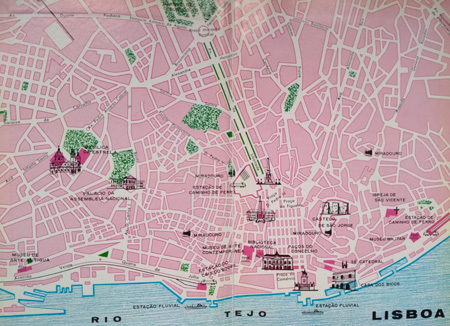 Quick to join the EU in 1986, Expo ’98 soon followed as did the use of the € in 2000… all at a time when Lisbon’s city center had been neglected for decades. Now that much of Lisbon gleams again & Portugal has been rediscovered as a tourist destination, only time will tell if historians see Expo ’98 as one important step in an overall trend to recover some of Portugal’s international influence. 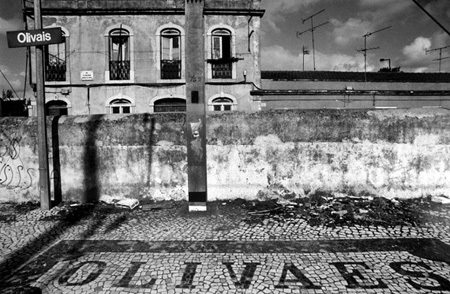 Obrigadíssimo to Bruno Manuel dos Anjos Marques Albano for all the original documentation uploaded to Issuu, my favorite source of Lisbon news O Corvo, & fellow long-time blogger Daniel Carrapa at a barriga de um arquitecto.